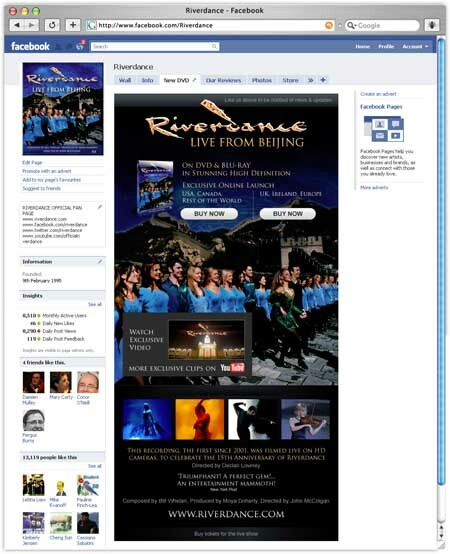 As the year draws to a close we are really delighted to announce the launch of the Riverdance online project. 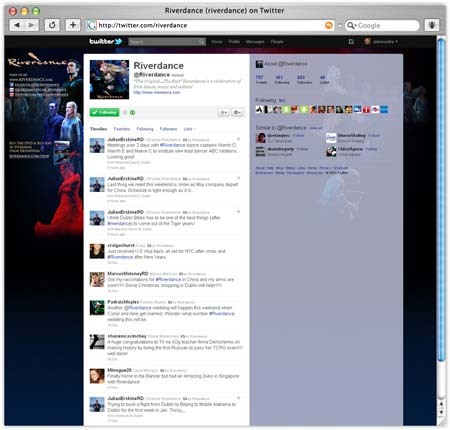 We worked with an amazing web team and the outcome as you can see is pretty stunning. 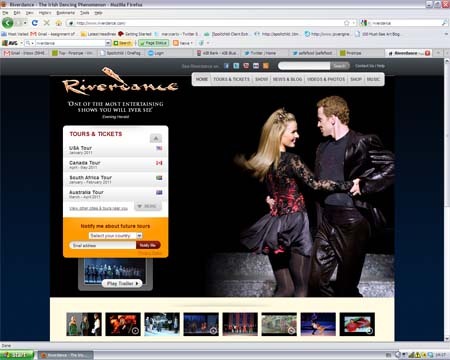 Spoiltchild were hired to revamp Riverdanceâ€™s online presence with a complete overhaul of their website, Facebook, Twitter and email marketing, to harness the phenomenal amount of traffic Riverdance.com achieves on a daily basis. Our approach to the project focused on the User, the Brand and the Service by working through the customer journey (how a user moves through the site) and building a fantastic user experience. 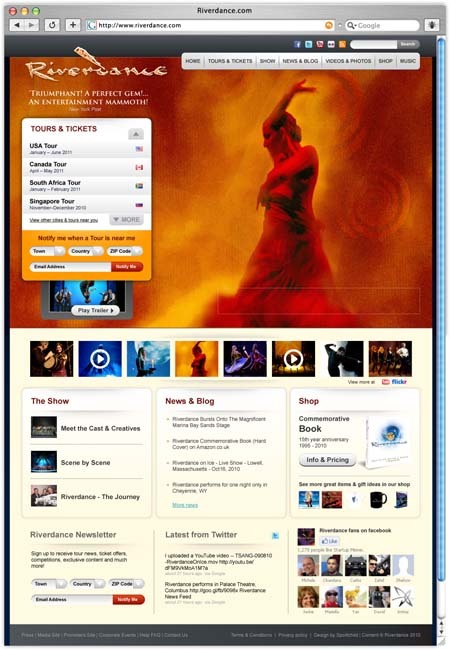 Reviews of the new site have been pouring in and users love the new structure, layout and design. Watch out for a more detailed case study in the New Year. What do you think?